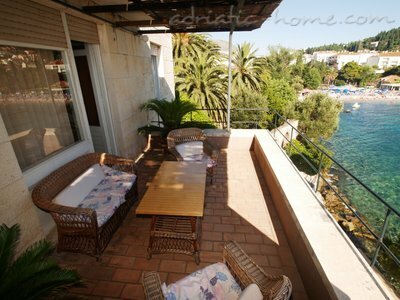 RACIC HOUSE is atractive mediterian style villa , family owned , built in famous Brac stone. 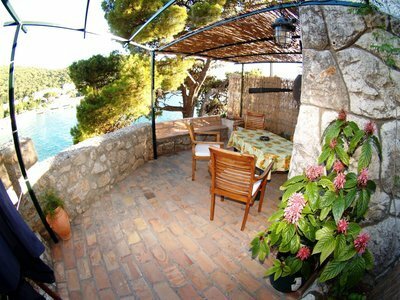 It is set just above seaside promenade in the turistic part of Dubrovnik Lapad . Unique seafront location in Lapad bay is interesting combination of great turistic offer , as well as separation from car traffic and noise. Ideal for joing sun and sea ( 5 meters ) and have relaxing holiday. 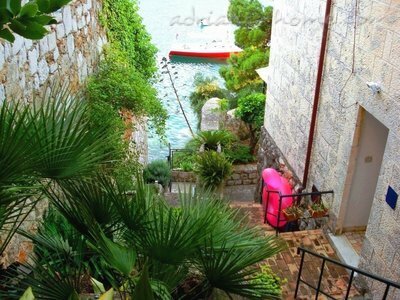 Villa is surraunded with many tipical mediterian plants and trees . 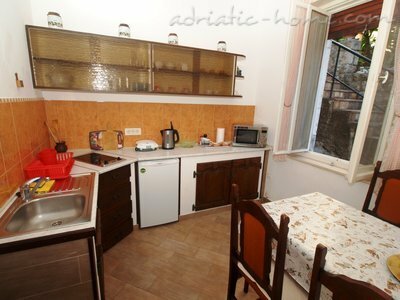 All our apartments are very good standard , decorated in wood and natural materials with interesting and unusuall tradicional maritime items from Dubrovnik history. Terraces and balconies are overlooking sandy beach on the east and islands with open sea on the west. Apartments facing the sea in Lapad bay , and they have terraces with lot of sun durring all day. Small promenade leads 70 meters on the east side to sandy beach with easy access and beautiful restaurant with sea food menu.On the west side promenade leads through many quiet and interesting rocky beachs under the woods , with beautiful view on the islands and open sea . 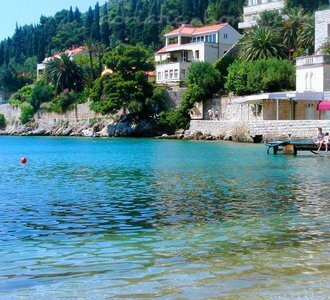 LAPAD BAY is turistic part of Dubrovnik with many hotels , restorants and bars . You can visit some restaurants with light food and pizza , or fish restaurants with dalmatian food , all within 100 meters . On the near beach is very interesting beach bar with light music and has good choice of drinks and coctails. For daily shoping You have grocery 100 meters from the house and there is supermarket with low prices ( 200 meters ). Villa is situated 2 kilometers air distance from the Old city , which is well conected with taxi, bus and boat lines , or 25 minutes of pleasant walk . For more info, suggestion , photos , or reservation , just contact us. Fantasticna obitelj Racic. Fantasticna lokacija u prelepom Dubrovniku. Srdacno preporucujemo svima. Only one rating. Awesome! 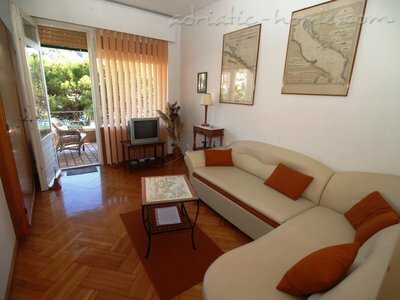 A fantastic accommodation with a magnificent view of the ocean right on the housing edge. We were three couples who rented all three apartments, all with terraces. Perfect if you are several families, but still will have some privacy. The area is quiet, but with many good restaurants around. Do you prefer to cook your own food is a good supermarket nearby. Do you like to walk, it takes about half a time to the old town. We appreciated the environment "at home" after half a day in the crowded Old Town. The family Racic is wonderful, they are not there when you don´t need them, but they are there when you need them and they can help with almost anything. If you find a budget flight, a stay at Racic House will be cheaper than a charter trip. And much better! Firstly as already mentioned the Racic family are very charming and helpful. We arrived very early as we were staying at a nearby hotel (1130) but none the less they let us in with no problem at all. Also on leaving for the airport at 1800 hrs we were again welcome to stay till our taxi arranged by the Racic family picked us up. 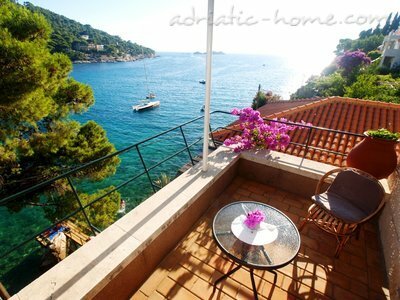 The apartment we had (The Adriatic) was very good with wonderful views form the large balcony. 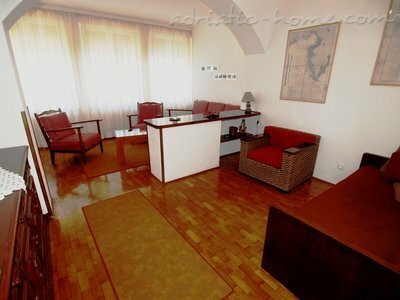 The apartment is furnished traditionally but with a modern leather suite. The TV is mainly German channels but thankfully a few news channels if you needed to keep up with the world news! The position is the winner here being right on the beach - 2 minutes down a sea front walkway- so the views are obviously superb. There's also heating and aircon which was handy as we experienced both extremes of weather in just three days! Lapad itself has some nice little bars, a few on the beach itself and some down a nice modern roadway that heads to the bus stop route (200 mtrs away)to Gruz harbour and Dubrovnik old town. Fish retaurant is so close you can alost smell the fish (Casa) plus other mainly hotel restaurants within a few minutes walk- in particular the More hotel with a fab restaurant and cave bar which is simply stunning, the other direction we liked the Hotel Dubrovnik bar and food. Another very good eatery is the hotel just to the left The Kompas (try the home made noodles with beef tenderloin. Good large bed (pillows slightly hard) but the local beer Ozkusko helped that problem! Full size fridge, great shower. Would certainly recommend for the location alone but it's also very comfortable- so thank you Racic family. The old town, superb and certainly has prices to suit all budgets. After staying at House Racic, i must say that our family group of 10 found this accommodation first class. Communication (generally email prior to arrival) between the owners and myself was prompt. Our welcome from the Racic family was so warm and friendly and they were always eager to help us with any enquiries. The location was outstanding and near to all that we needed with the proximity to facilities (restaurants, buses/transport to old town, supermarket) faultless. 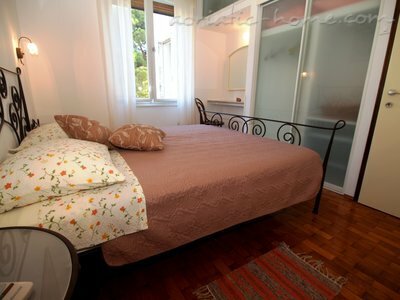 These apartments are located only a short bus/taxi ride from the Old Town, making access easy. The views from our balconies were breathtaking and the atmosphere peaceful. The apartments were all clean, tidy and well equipped. I would recommend this to families and groups who are looking for a relaxing holiday that they will treasure for a long time. PERFECT!! Thank you. We stayed at this great house which has fantastic veiws of the adriatic,Mr Racic met us on arrival and was extremely helpful,nothing was too much trouble,I had to force him to take my money,We had the Lanterna apt which was clean and well equipped for the 2 of us,the weather was extremely kind and we experienced unusually high temperatures for the time of the year,not that we were complaining,The Lapad area has lots of good cheap restraunts were the food was really good and the service never too much trouble,these Croatians really are very nice people,there is also a great local bus service to the old town where it cost only 5 kuna each way so no need to hire a car, the walks around the bay are fantastic, we are thinking of returning again soon and without a doubt would go back to House Racic and would recommend anybody to go also.Thank you Mr Racic for allowing us into your lovely home ,we thoroughly enjoyed our stay. - The general great location of Lapad. Dubrovnik old town is crowded and tour bus infested. Lapad is leafy, laid back and uncrowded. 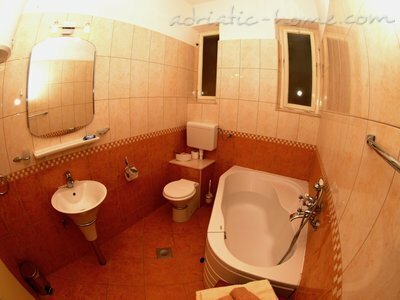 The house is in a very quiet part of Lapad, well furnished and air conditioned in the 2 bedrooms. - How friendly the Racic family is. No request was too great and was very quickly turned around. We also had Mrs. Racic's home made marmalade and some produce from their garden! They live a 10 mins walk away.